Little Tangles Challenge #33 - Don't forget the envelope! It's that time again! Don't forget the envelope, yes it's all about the envelope. Last time I realised how much I neglect the inside of the card, now I realise I also neglect the envelope! I love all the design teams creations, plus we have the amazing Jennifer McGuire joining us again as guest designer, so make sure you check out the Little Tangles blog. You have until Sunday March 30th to join in, I hope you do! I am going to put this card in the latest Simon Says Challenge - Glitter it and I also drew inspiration from the beautiful shades of pink in the inspiration photo from Crazy for CAS. This is BEAUTIFUl Tracy! I adore that sweet bow! Beautiful card. Thanks for joining CFC. Simple, but elegant! Really CAS. Thanks for joining us at CFC! I like how the gold ties everything together. The matching hearts is a great idea. Fabulous job on a pretty CAS card. 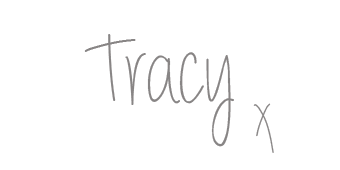 This is gorgeous, Tracy! I love how you used the tag and gold. Thanks so much for playing along with the Simon Says Stamp Wednesday Challenge: Glitter It!